Body and basket made of polypropylene with polycarbonate lid. 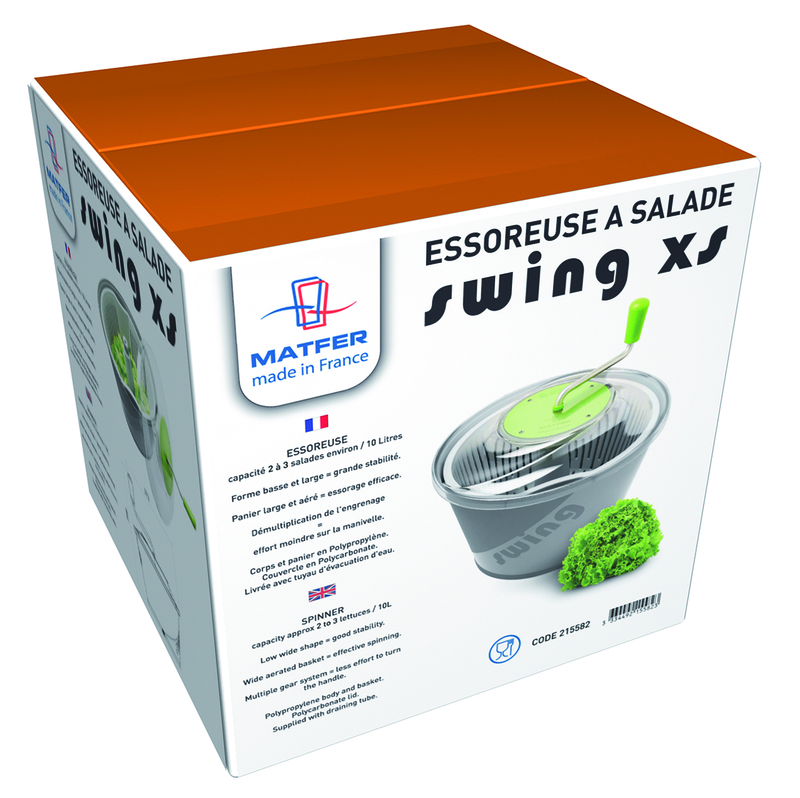 New compact spinner with transparent lid, capacity approximately 4 to 5 heads of lettuce. Supplied with the drainage tube. 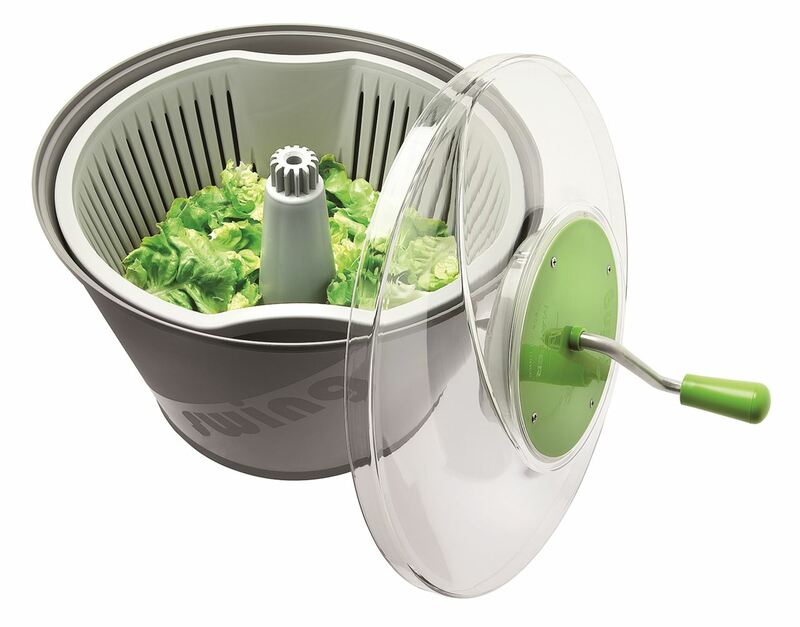 • Transparent lid allows you to see level of spin. • It’s low, wide shapeprovides proper stability. • The wide aerated basket ensures effective spinning. • the multiple gear system provides good flexibility and requires less effort when turning handle. Capacity 2.5 gallons. 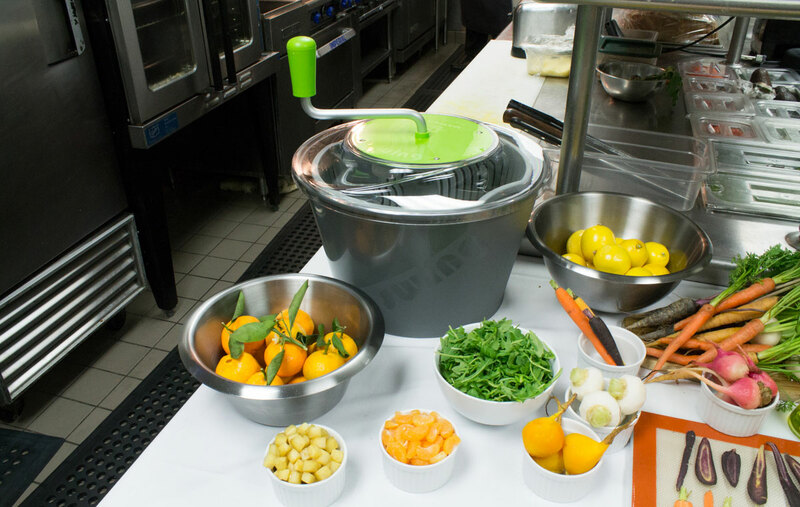 See how Executive Chef, David Padilla, On Rodeo Drive Restaurant, LUXE Hotel uses his Matfer SWING SALAD SPINNER to create a fresh twist for his refined Root Vegetable Medley Salad.